eBay AUCTION OF THE WEEK!!! To bid for this item, click HERE!!! RETRO GAMER IS DEAD, LONG LIVE RETRO GAMER! 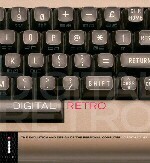 NEW SPECCY GAMING BOOK SET FOR AUTUMN RELEASE? YOURS FOR 40 QUID SIR! CULT ZX81 PUBLICATION SET FOR REVIVAL? LAIR SOURCES OUT-OF-PRINT SPECCY BOOKS! LAIR CATCHES EYE OF BBC NEWS ONLINE! Play Speccy Games On Your Phone! VSO Refers to Speccy in Advert! Sinclair Lair Comes To BBC's Rescue! Sir Clive appears on UK TV! Welcome to The Sinclair Lair! After spending most of my teenage years messing about with Sinclair Spectrums, I inevitably lost interest when I went to university and then into full-time employment. But on my return from working in Dubai in March 2001, I decided to give an overhaul to my hoplessly stale 'Classic Computers Archive' Web site. And this is the result. The Sinclair Lair offers a Games Finder Service, which will endeavour to find any original Spectrum game for you on a no win, no fee basis. You can also browse through interesting articles from old my Spectrum fanzine, Classix, which folded back in the late 1990s. I hope you enjoy the site. If you've got any queries or comments, please feel free to email me on alex@REMOVETHISwaddington.fslife.co.uk, but remember to remove the 'REMOVETHIS' bit first, as its designed to stop unwanted spam email. SPECTRUM ADVENTURE GAMES FOR SALE!! !